A brand representing Italian Alps spring water, with consistency across an expanding product line that matched the company’s growth rate. San Pellegrino mineral water has been produced in the town of San Pellegrino Terme in the province of Bergamo in Lombardy for over 600 years. The water comes from a thermal spring in the Italian Alps at a depth of 400 metres below ground where it is mineralised from contact with limestone and volcanic rock. 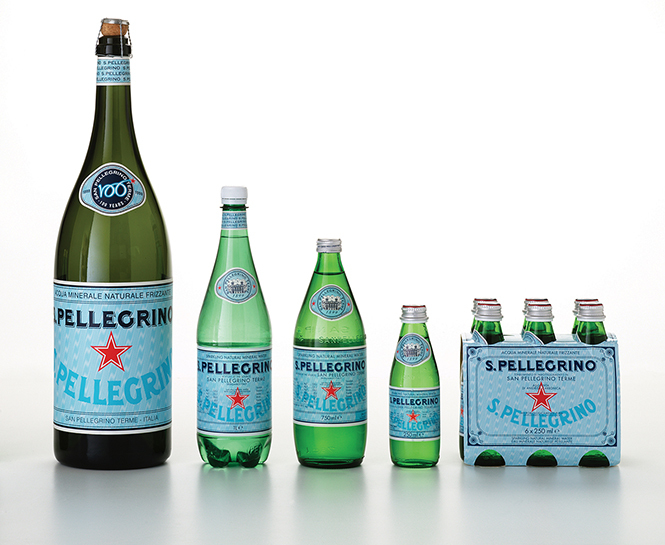 Owned by Nestlé since 1997, San Pellegrino sparkling mineral water is exported worldwide. 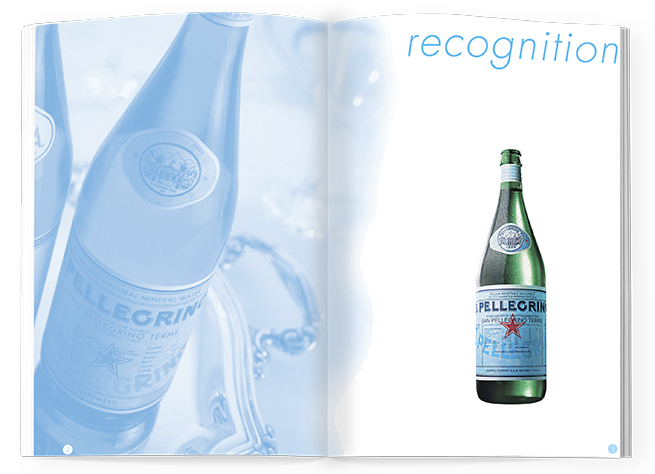 After a prolonged period of growth in the global market, we were asked to rationalise the brand presentation to ensure visual consistency across the San Pellegrino range of mineral water products. 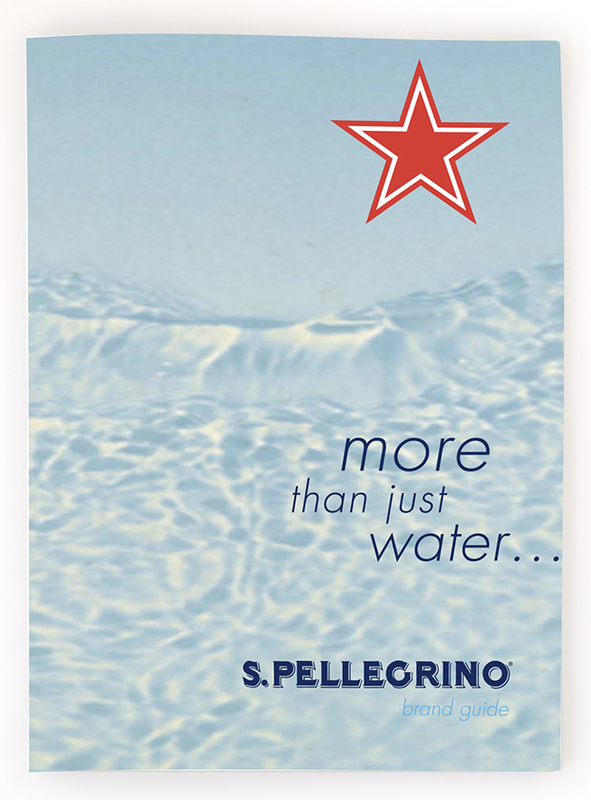 Over the years each market for San Pellegrino had developed a different version of the label for the famous sparkling water, resulting in a lack of visual coherence and potential negative effect on brand equity. 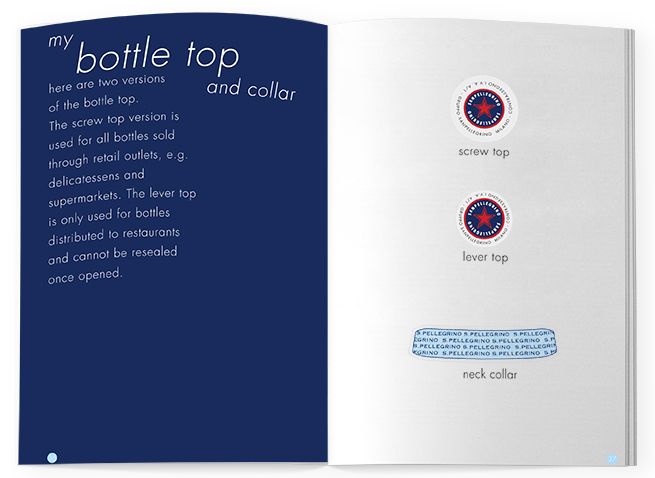 Our task was to design one definitive label for use worldwide. 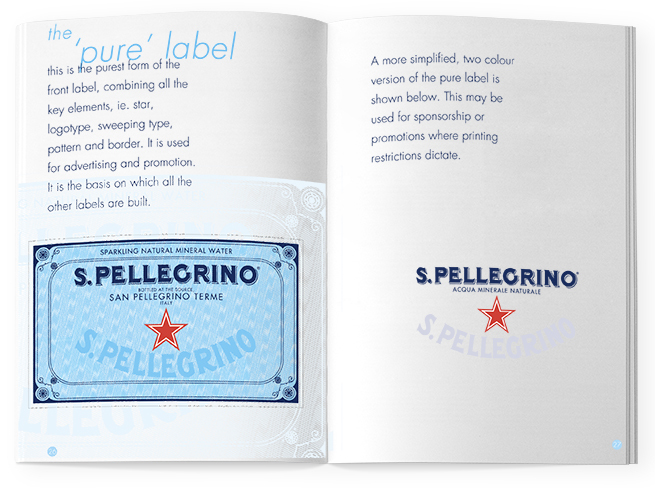 To redefine the core values of the San Pellegrino brand, we examined how this well established name was perceived in the market. San Pellegrino was seen as unmistakeably Italian, classically stylish and having an association with fine dining and café society. Although there was nothing old-fashioned about the product’s appeal, San Pellegrino’s longstanding heritage could not be ignored. These insights contributed to our understanding of the challenges facing the brand and helped define our brief. During the design process we evaluated all the label variations and extracted the key elements, such as the ornamental frame, the famous star, textured background and colour palette. The new label designs convey the heritage of the brand and premium nature of the product, providing consistency across all world markets.